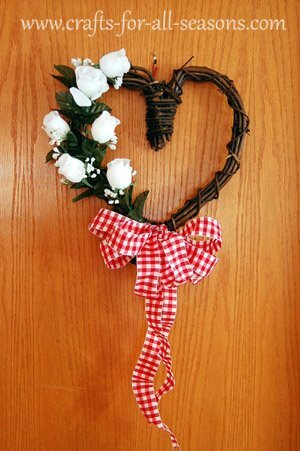 This grapevine heart wreath is the perfect front door decoration for Valentine’s Day! Red, pink, or white roses can be used. 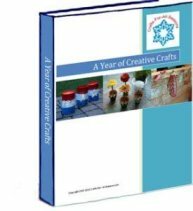 This is so easy to make and much cheaper than buying a wreath already assembled. Pick out any Valentine’s Day ribbon you want for the bow. It can be a solid color, or a fun print. 1. 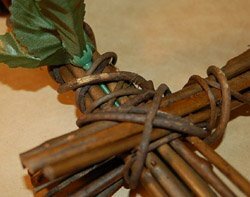 Begin by cutting off single roses from the silk bunch of flowers using the wire cutters. Then, curve each stem of the rose so that it angles slightly. The idea here is to have the roses “hug” the side of the heart when we place them on the wreath. 2. Begin to place the rose stems into the grapevine wreath along the left side. 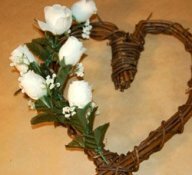 Make it fuller near the bottom of the left side and gradually have them taper off near the top, as if the roses are growing up the heart wreath. The roses should “hug” the wreath, and curve with the wreath’s curves. The stems can be secured with hot glue as additional support, if desired. NOTE: The silk roses I used had some artificial baby’s breath with them, which added fullness and dimension. 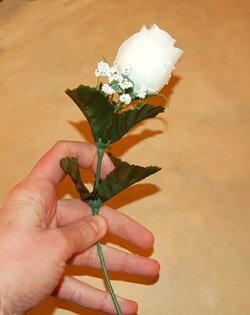 If your roses do not have this, you may want to also purchase some filler like a small flower or baby’s breath to “fill in” the spaces. 3. 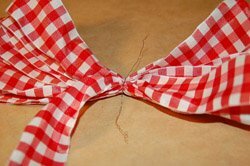 To make the bow, begin by keeping a tail of about 1 to 2 feet. Once you have this sectioned off, begin to fold the first loop of the bow. Bring the ribbon to the middle of the loop. 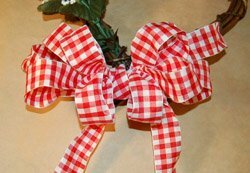 Remember to twist the ribbon in the center, so the right side of the ribbon is always pointing outward. 4. Continue to fold loops, gathering and remembering to fold the ribbon in the center. As you get to the end, remember to leave an equal length of ribbon at the end to act as the other tail. You can make all the loops the same size, or have them get increasingly smaller. 6. Now, take each loop and make it full. This is the beauty of wire-edged ribbon. Adjust the loops and move them around to create a nice full bow. 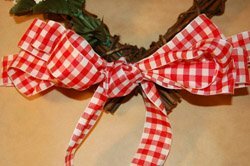 Attach the bow to the bottom of the heart wreath using wire. 7. 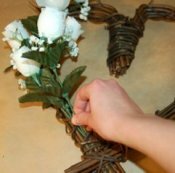 Attach a wire loop for hanging the heart wreath near the top, by twisting a small length of wire around one of the branches. Your grapevine heart wreath is now ready for hanging.